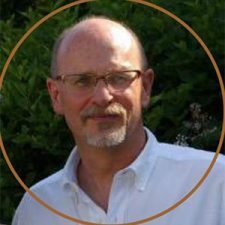 John MacFarlane is licensed in the State of Connecticut, and has over 30 years of experience with commercial and residential projects. Mr. MacFarlane brings a broad knowledge of spatial design and technical expertise to every project. Since founding the firm in 1987, he has established JWM Architects as a distinguished name in residential architecture, completing hundreds of projects and gaining recognition from the Home Builders Association award program. As a builder Jeff Kraner has been building meticulously crafted homes since 1986, and has worked with JWM Architects since 1992. As part of JWM Architects Design-Build team, Mr. Kraner provides the critical link between the architect and the building trades to realize a built work. His intimate knowledge of construction practice and eye for detail creates homes that are sound construction and refined appearance. Mr. Kraner received his Bachelor of Science from the State College of New York. He is a certified Energy Efficient House Builder, is also Energy Crafted Home Certified, and certified to apply high performance spray foam insulation.